#1 DUKE 80, WAKE FOREST 62 -- The only people who could stop Ryan Kelly on Saturday were the officials. Certainly not Wake Forest. 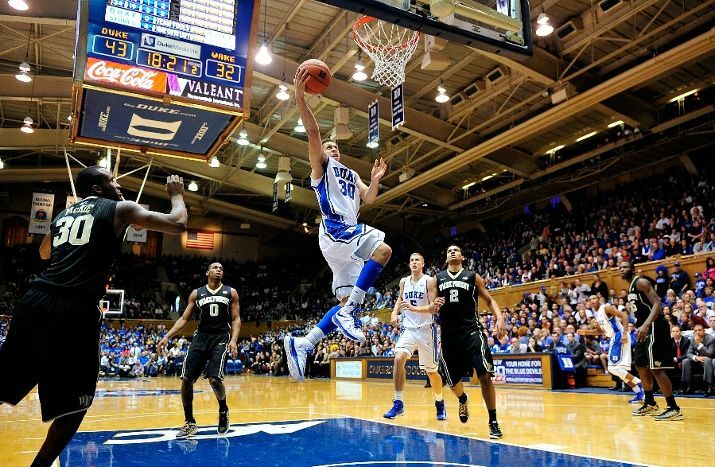 Kelly scored a season-high 22 points in the top-ranked Blue Devils' rout. Seth Curry also had 22 points, Quinn Cook had a career-high 14 assists and Kelly finished with his fourth straight 20-point performance against Wake Forest. "He stepped up and he just had the openings and knocked them down," Duke coach Mike Krzyzewski said. "He was on his way to a 35-point or 40-point game, really, because we would have kept calling his number." #23 N.C. STATE 78, BOSTON COLLEGE 73 -- NC State won its ACC opener on the road for the first time since 1997 by beating Boston College on Saturday afternoon at Conte Forum, thanks to 12 quick points by senior Scott Wood in the game’s final four minutes. Wood, scoreless because of foul trouble in the contest, came off the bench with 3:45 to play to hit a pair of 3-pointers and six straight free throws for the Wolfpack, which made 21 of 24 shots from the charity stripe in the second half after a 4-for-11 performance in the first half. Wood was one of six Wolfpack players to hit double-figure scoring on the night, as freshman Rodney Purvis had a career-high 19, senior Lorenzo Brown had 14, senior Richard Howell and Wood had 12 each and junior C.J. Leslie added 10. Howell also had 11 rebounds for his eighth double-double of the season and the 21st of his career. MARYLAND 94, VIRGINIA TECH 71 -- With a first-half performance that was as brilliant as it was surprising, freshman Jake Layman added his name to the vast list of contributors to the second-longest winning streak in Maryland history. Layman scored 18 of his 20 points before halftime, and the Terrapins rolled past Virginia Tech Saturday for their 13th consecutive victory. Maryland's winning streak matches an identical run in 2001-02 and is one short of the school record set in 1931-32. After defeating 12 non-league opponents, Maryland opened the Atlantic Coast Conference portion of its schedule with a satisfying romp. "We were waiting to play a big-boy team," said Terrapins freshman Seth Allen, who contributed 21 points on 8-for-12 shooting. 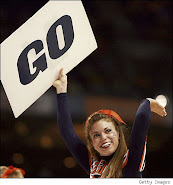 FLORIDA SATE 71, CLEMSON 66 -- Florida State had just one victory in 10 previous tries at Clemson so it made complete sense Saturday evening when the Tigers' second-half surge had the Seminoles in jeopardy of blowing a double-digit halftime lead with under 20 seconds left to play. 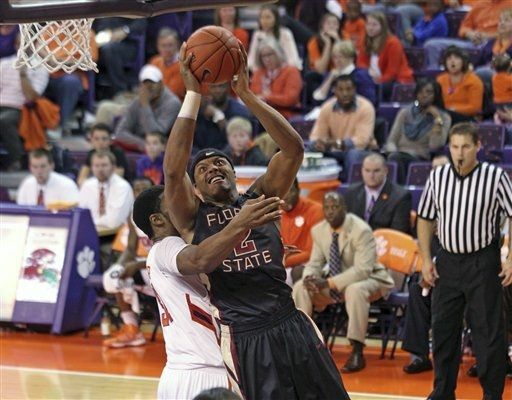 For the FSU men's basketball team, it's tough to win in South Carolina. The win not only gave the 'Noles (9-5, 1-0 ACC) a much needed ACC win to start the conference slate of games but it also put them back in the win column on a streak of road games that is now in its fourth contest. After falling to Auburn three nights ago, Florida State will now head to Maryland for an 8 p.m. game Wednesday unblemished in league play. MIAMI 62, GEORGIA TECH 49 -- Rion Brown came off the bench to score a career-high 22 points, and Miami's overall size gave Georgia Tech fits Saturday as the Hurricanes whipped the Yellow Jackets in the ACC opener for both teams. Georgia Tech (10-3) had won six straight against a soft schedule in which the Yellow Jackets never faced height like the Hurricanes (10-3) offered. The Jackets were outscored 28-16 in the paint while losing for the first time in nine games in their new arena, McCamish Pavilion. Miami outrebounded Georgia Tech 40-29, with Hurricanes forward Kenny Kadji grabbing a season-high 14 to go with 11 points.